Based in Canberra but supporting both Brisbane and Canberra clients, Rahulan Rukman provides investment advice to clients on a daily basis, monitors how their portfolios are performing and advises them if any adjustments are necessary to help them meet their financial objectives. Rahulan tailors the recommendations of the Investment Committee to each client’s portfolio in line with their individual goals, needs and preferences. “It’s very satisfying to be able to provide advice to clients and see how that advice is helping them meet their personal goals,” Rahulan says. When Dixon Advisory presents an investment opportunity to clients, Rahulan calls his clients to discuss why the Investment Committee has made the recommendation and why it’s relevant to their situation. “It’s very important my clients understand the recommendations and are comfortable with the advice before they proceed,” he says. Before joining Dixon Advisory, Rahulan worked in Budget Analysis at the Department of Finance and Deregulation and as an IT Analyst at WYSCOM. Rahulan has a Bachelor of Finance, majoring in Corporate Finance and Investment Management, and a Bachelor of Economics from the Australian National University. 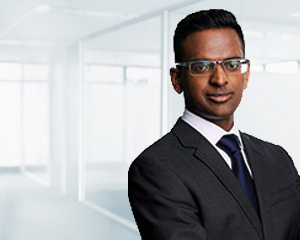 Rahulan has recently completed a Graduate Diploma in Applied Finance and Masters of Applied Finance from Kaplan. Rahulan is accredited to provide advice on securities and managed investments by the Stockbrokers Association of Australia.